My love of pullovers is well documented, even if I haven’t said it in so many words. I’ve written a dozen sweater patterns. Only two of them are cardigans. I don’t really have anything against cardigans, but there’s something just so wonderful about throwing on a pullover and being totally enveloped in lovely, warm wool. It’s the closest I will ever come to my dream of it becoming socially acceptable to wear a blanket out and about. Especially since the weather has started turning distinctly fall-ish around here, there’s nothing I want more than to snuggle up with a big, soft pullover, a book and a mug of steaming tea. But, I can still dream, can’t I? I can comb through Ravelry and pick out all the pullovers I would totally be wearing if only I had the time to knit them up. I love a simple, classic silhouette on patterns like this. 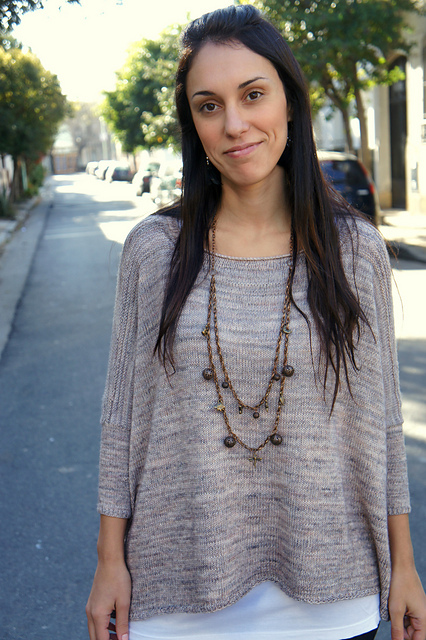 There’s nothing more versatile than a perfect, plain sweater. As long as we’re daydreaming, I’d make seven of these in seven different colors/yarns so that I could wear a different one every day for a week. Heaven. No Frills Sweater by PetiteKnit But, I might get bored making seven of the same plain sweater. I could throw a few of these into the mix. I love the twisted stitch details at the raglan seams and the cool, understated cable/twisted stitch pattern at the bottom. 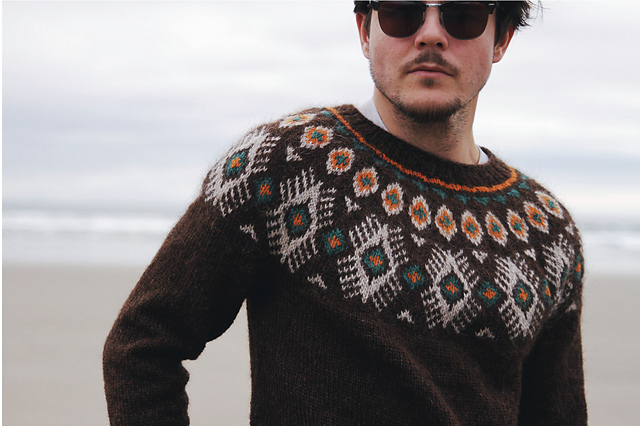 It’s just enough to make the sweater a little fancy without being fussy. 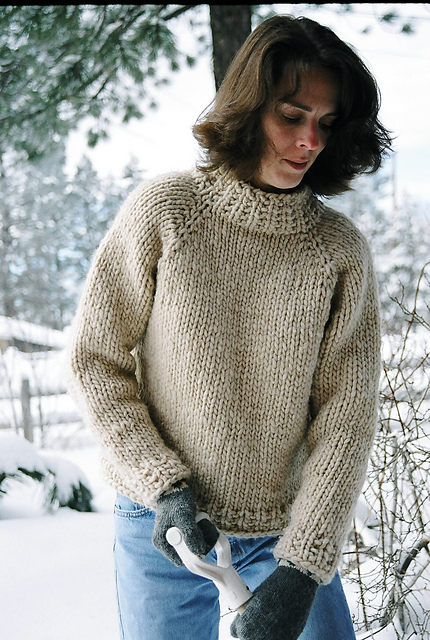 Opteka by Isabell Kraemer But, really, I want to make this sweater. I’ve had my eye on it for years. I think I even picked out yarn for it a few years ago (but then used that yarn for something else). I don’t know why it’s so appealing to me- it’s just a basic, boxy raglan sweater with nice wide stripes. (It has pockets too, which I like in theory, but I’d probably omit.) Maybe it’s the 90’s kid in me; I do appreciate a good striped sweater. Tea with Jam and Bread by Heidi Kirrmaier If you could magically have a new knitted wardrobe, what would you include? Lots of pullovers? Cardigans? Ponchos? This entry was posted in Inspiration and tagged knit, knitting, pullover, pullovers, sweater, sweaters on September 17, 2018 by onemilljellybeans. I’m about to admit something very embarrassing. In fact, maybe don’t read the rest of this post. Especially you, Mom and Dad. I’m even in a Bachelor Fantasy League (I’m winning for now, but it all could change at any moment! 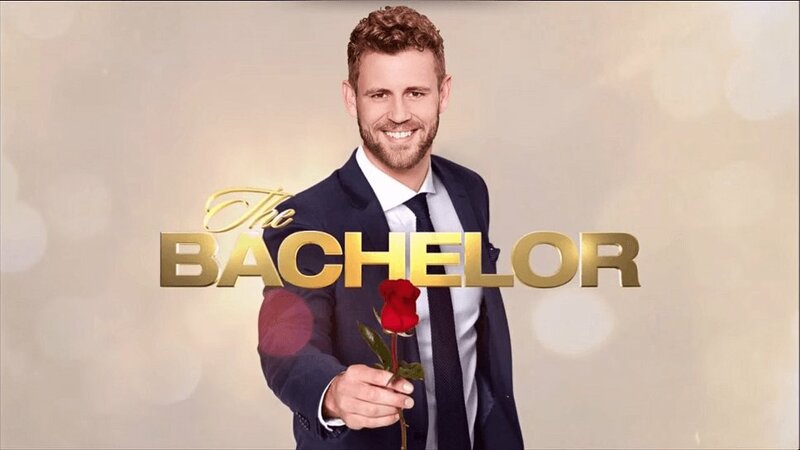 ), and listen to a Bachelor Podcast (Rose Buddies– which is an absolute delight that you should listen to, even if you don’t watch the show). Tonight’s episode is the very important “Hometowns” episode, where the last four contestants take the Bachelor home to meet their parents. It’s always suuuuper awkward, but in the best way possible. Meet Raven! She’s an adorable, super cool, super confident and sweet lady from a tiny town in Arkansas. She owns a little fashion boutique and I really want her to be my friend. I bet you’d be able to find a sweater like this one in her shop. It’s a little funky, a little comfy, and totally trendy. Raven would probably wear it with killer boots and a cool, attention-getting necklace. Boxy by Joji Locatelli Rachel is a lawyer from Dallas. She’s super smart and capable, and was just announced as next season’s Bachelorette. (So I guess she doesn’t “win” this season, but that’s A-OK by me, because she’s too good for Nick.) 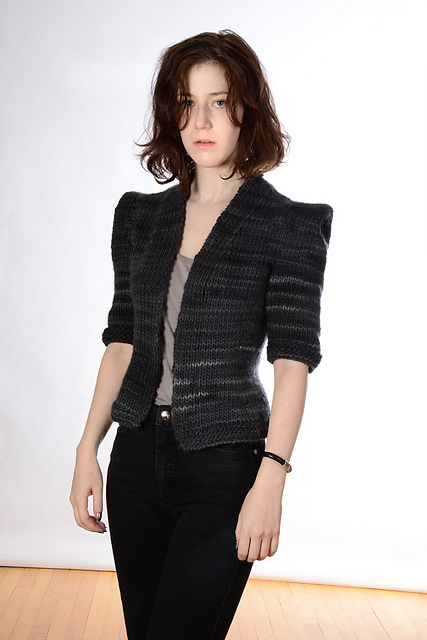 I’d knit this sweater for her- it’s like the fun cousin of a blazer. Actually, I kind of want this one for myself. Walk the Cumbria Way by Jutta von Hinterm Stein And, if the last two contestants were too good for Nick, Vanessa certainly is. She’s amazing. She’s a tri-lingual, Canadian special-needs teacher. She’s tough, but sweet (and calls out the Bachelor when he does something crappy-which is rare on this show). My money is on her for the “win,” but she’s not actually on my team, so I have mixed loyalties. Her style is effortless, comfortable, and undeniably chic. 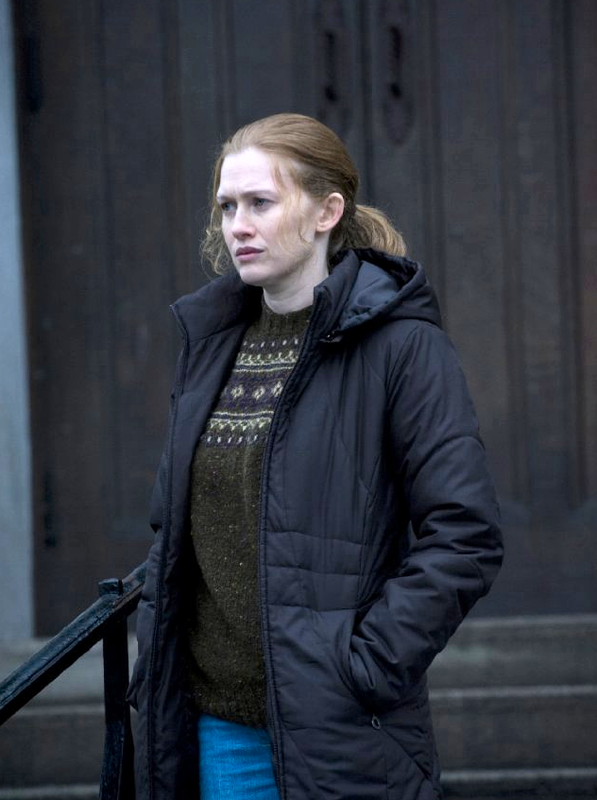 I think she’d rock a simple cardigan like this- actually, I think I might have seen her wear one very similar in the last couple episodes. BlueSand Cardigan by La Maison Rililie Then, we come to Corinne. Corinne is this season’s “villain,” but she’s kind of amazing. She says she’s the 24-year-old owner of a “Multi-million-dollar business,” but really she’s a model/Instagrammer who goes by the nickname “Corn” and has a nanny. She’s pretty immature (which is what gets her into trouble on the show), but I’m sure she’s less of a villain in real life. She’s just a privileged weirdo who’s a little self-absorbed and self-conscious, which comes out as being pushy and unpleasant. But, I like the girl, nonetheless (and she’s earned my fantasy team about a bajillion points, which is something I really like). And for my dear Corn, I’d have to make her a super cute sundress/bikini cover-up. Everyone on this show spends about 3/4 of their time in swim suits, and Corn spends even more time in them than anyone else. I think she’d totally wear this super cute tunic- though she would have to be careful of weird crochet tan lines. 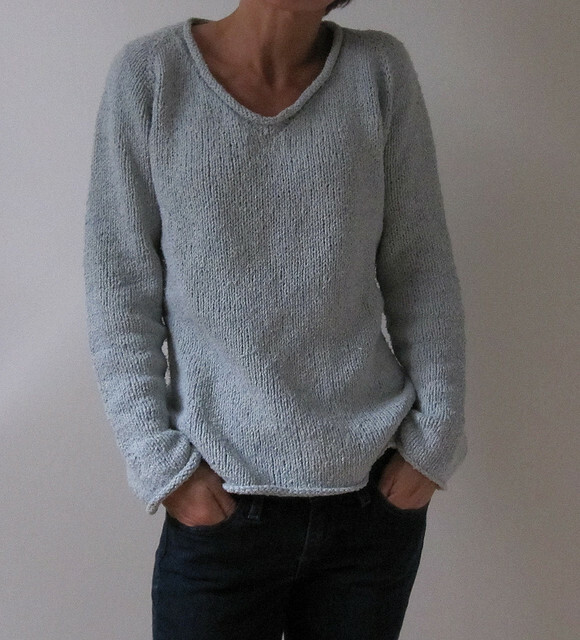 Beach Tunic by Annelies Baes (Vicarno) Now you know my deep, dark secret. So what’s yours? What’s your secret guilty pleasure? This entry was posted in Inspiration and tagged bachelor, bachelorette, corinne, corn, knitting, nick, rachel, raven, sweaters, the bachelor, vaness on February 20, 2017 by onemilljellybeans. I got some pretty cruddy news today, and I find myself in a bit of a funk. (Don’t worry, I’m not dying or anything, just disappointed.) So, what’s a girl in my position to do? Nothing productive, surely. That would make too much sense. I know, I’ll go trolling through my Ravelry Queue. I’m sure you’re Queue looks like mine… hundreds of random patterns you’ve collected over the years, half of which you don’t even remember adding. But, the one thing they all have in common is that they are all patterns I like. So, in an effort to cheer me up, let’s look at pretty patterns from my queue. This little wisp of a shawl is too beautiful for words. But I’ll try anyway. I don’t think I’d ever actually wear it (I don’t think it’d go too well with jeans and flannel), but it’s so pretty, I kind of want to make it. Don’t you just love the way they incorporated the corner increases into a lace pattern. I’ve tried to design something similar, and it’s not as easy as it sounds. Growing Flowers by Mia Rinde These little girls are just too cute, too. And! They have teeny tiny clothes! Little dresses, skirts, sweaters, and shawls. I could just eat them up. Delightful! Mary, Millie, and Morgan by Susan B. Anderson I’ve loved this sweater since last year when I saw a whole table of ladies wearing them at a knitting conference. It’s just the cutest, with perfect 3/4-length sleeves and a hem that falls at the natural waist, perfect for paring with full, 50’s-style skirts. And those cables! Just adorable. Someday, Chuck, you will be mine. Do you have an out-of-control Ravelry Queue, too? Do you have any favorite patterns stashed away for “someday”? This entry was posted in Inspiration and tagged cardigan, cheerful, dolls, pullover, shawl, sweater, sweaters on July 8, 2016 by onemilljellybeans. I’ve been spending my November holed up away from the damp Seattle weather watching a TV show about the damp Seattle weather. Because, why not! 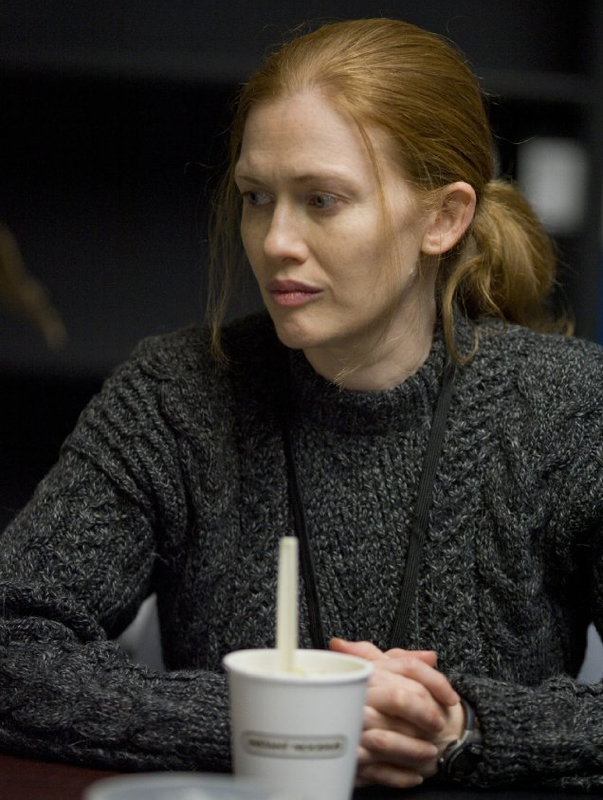 It’s one of my new favorite TV shows: The Killing. (It’s not new, I’m just late to the party.) Based on a Swedish show of the same name (but in Swedish… or at least I assume it’s the same name. I don’t speak Swedish), The Killing is basically the show for people who think Law & Order: SVU is too light and funny. Luckily for me, I am one of those people. Want to channel your inner chain-smoking, crime-fighting, misanthrope? 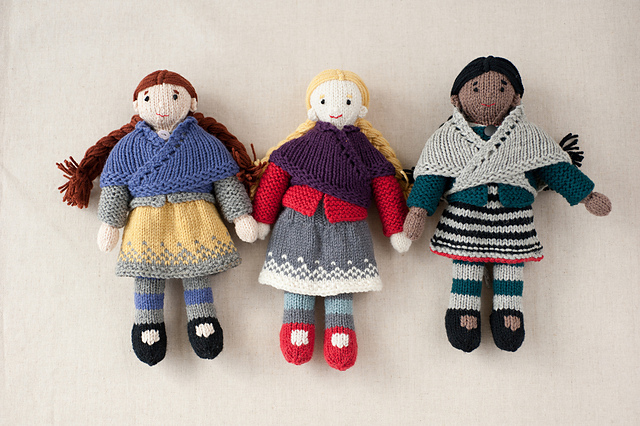 Try knitting up one of these over-sized beauties. This entry was posted in Uncategorized and tagged detective linden, linden, oversized, pullover, seattle, sweater, sweaters, the killing on November 23, 2015 by onemilljellybeans. You understand how to block something simple (a scarf, a coaster, or maybe even a blanket). Now, it’s time to do something more complicated. Something with sleeves. 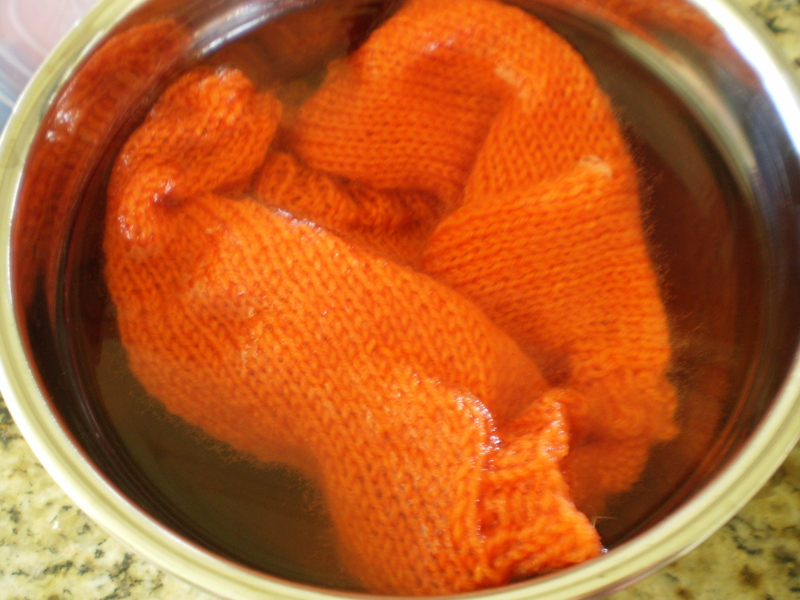 We’ll start by soaking the sweater in a bowl of warm water for 10-20 minutes. Make sure it’s nice and soaked through. Then, just like last time, roll it up in a nice clean towel and squeeze out most of the moisture. Put out your foam tiles and cover them up with a new clean, dry towel. 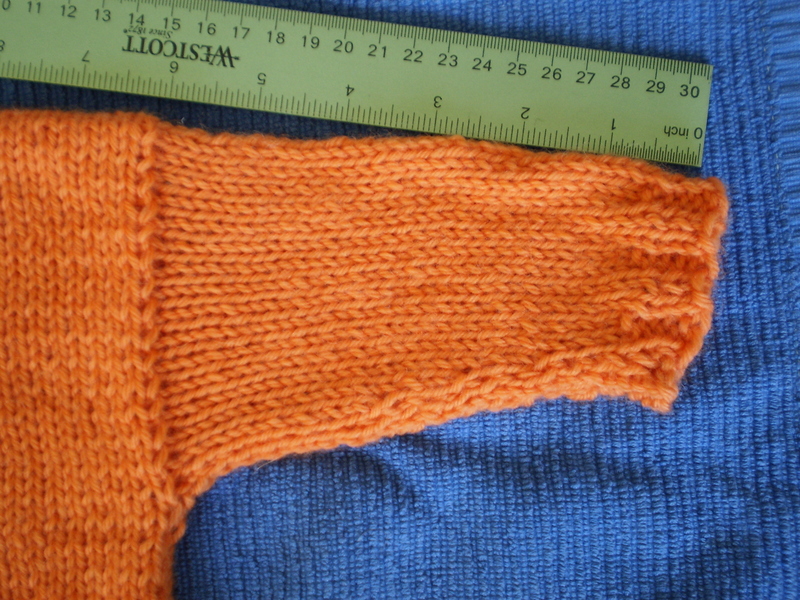 Lay out your sweater as best you can to roughly the right proportions. When you’re working with a grown-up sized sweater, it can be kind of tricky. Don’t worry if you don’t get it right away-we’ll rejigger everything in a minute. Just eyeball it. 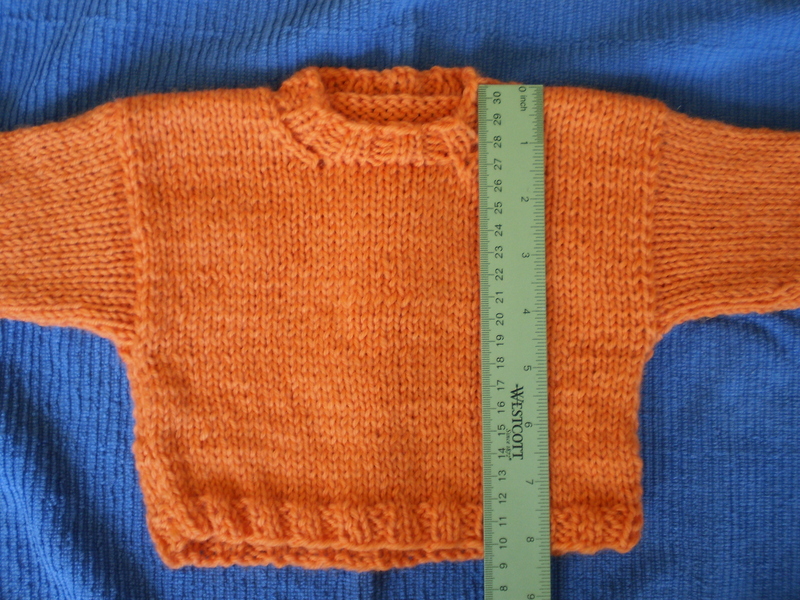 Now, it’s time to measure the sweater and make sure it ends up the size you want it. Begin with the chest measurement. 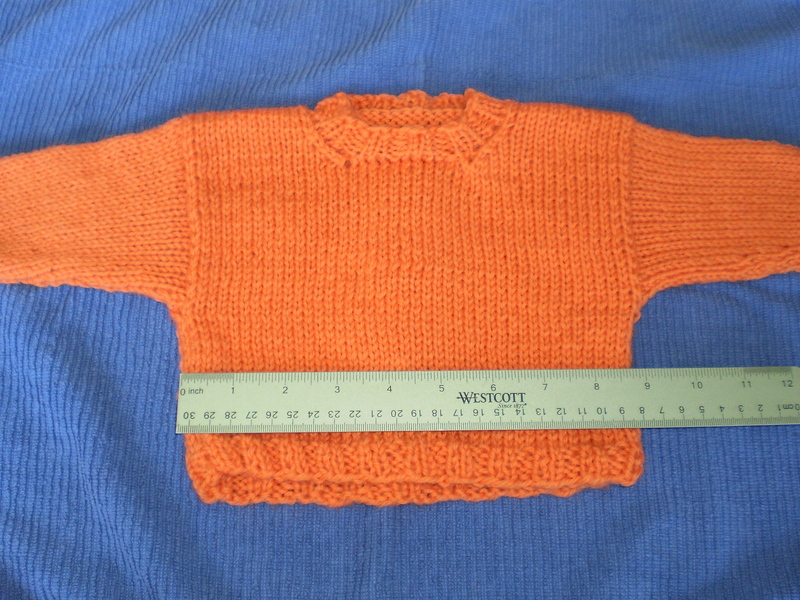 Now, since this is a baby sweater, I want the chest to be 9 inches across. Now that the chest measurement is about right, I’ll stretch out the body to the right length, double-checking that the chest measurement doesn’t get stretched out of shape. The body is all arranged correctly, so now let’s do the same thing with the sleeves. These sleeves should be about 6 inches long. With the sleeves, it’s really important to make sure both sleeves match one another- no one likes lop-sided sleeves. 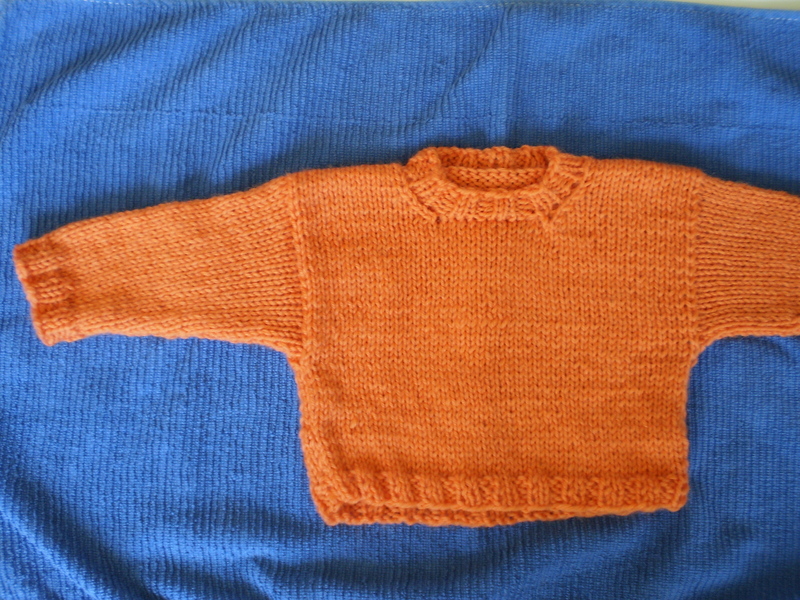 Something small, like this baby sweater, won’t take long to dry, but big, adult sweaters can take a while (especially if you live somewhere humid). So, to speed the process along, try pointing a fan at it for a day or two. Once the sweater is completely finished, put it on and do a twirl in front of the mirror, admiring your awesome work! This entry was posted in Tutorial and tagged blocking, finishing, knitting, pullover, sweater, sweaters on June 17, 2015 by onemilljellybeans. We spent the week beach combing, (attempting to) body surf, and generally being beach bums. And as nice as the weather was in the daytime (70s and 80s-sorry everyone in the Great White North! ), the evenings got quite chilly. You need a sweater at night in San Diego. Luckily, I specialize in sweaters. Let’s take a look at some beach-appropriate sweaters that I will definitely be knitting before my next trip south. This light pullover would be perfect for wearing on your morning walk, sipping coffee and examining the beach for treasures that washed up overnight. This sweater should be worn while sipping margaritas and eating guacamole at an outdoor cafe overlooking the ocean. 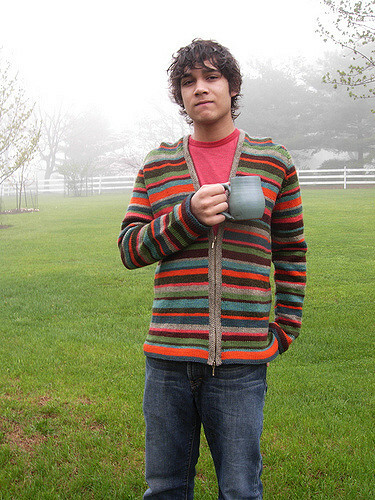 And this is the sweater I want to wear while sitting around a campfire on the beach, listening to the waves and looking at the stars. 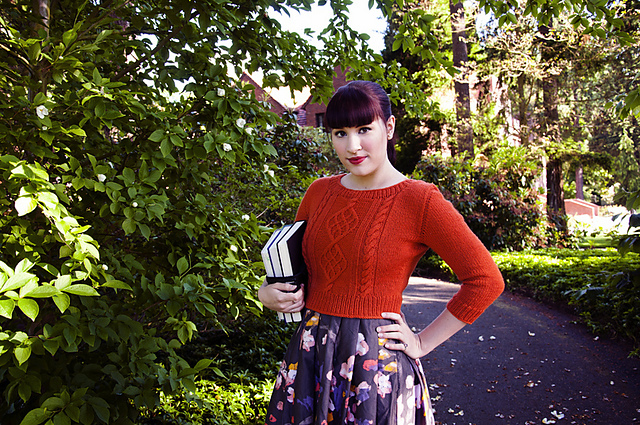 What knitwear do you like to pack when you travel? This entry was posted in Inspiration and tagged beach, california, cardigan, henely, pullover, san diego, sweater, sweaters, vacation on April 6, 2015 by onemilljellybeans. I am a big nerd. And, I grew up in the 90s/early 2000s. 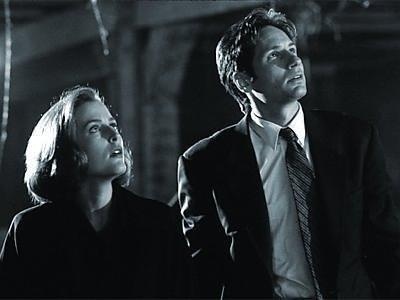 Therefore, I am a giant X-Files fan. I’ve probably watch the whole show through three or four times (I’ve got to do something to keep my mind busy while I knit). When I was really little (when the show was still new), I was a giant scaredy-cat, and didn’t watch the X files. 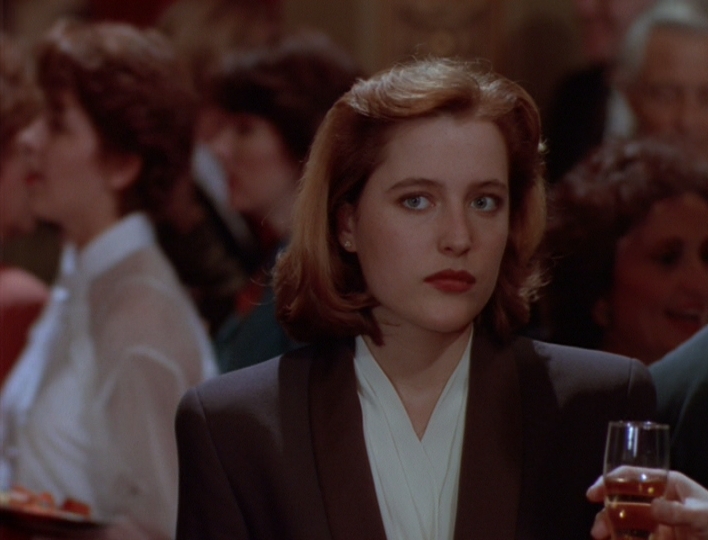 In fact, when my folks wanted me to go to bed on Sunday nights, they’d tell me that the X-Files were coming on, and I’d run off to bed, scared. But, in high school, I discovered the X-files, and started staying up late to watch reruns with the volume turned way down so that I wouldn’t wake up my parents. Sometimes, I’d tape them (on the VHS tape that I’d bought specially to tape episodes) and watch them later with my dad. Still whenever I hear the theme song I think of my dad whistling along while we sat on the couch with a bowl of popcorn. I’ve never noticed how many boxy suits and sensible shoes she wears. Look at those shoulder-pads. Amazing. 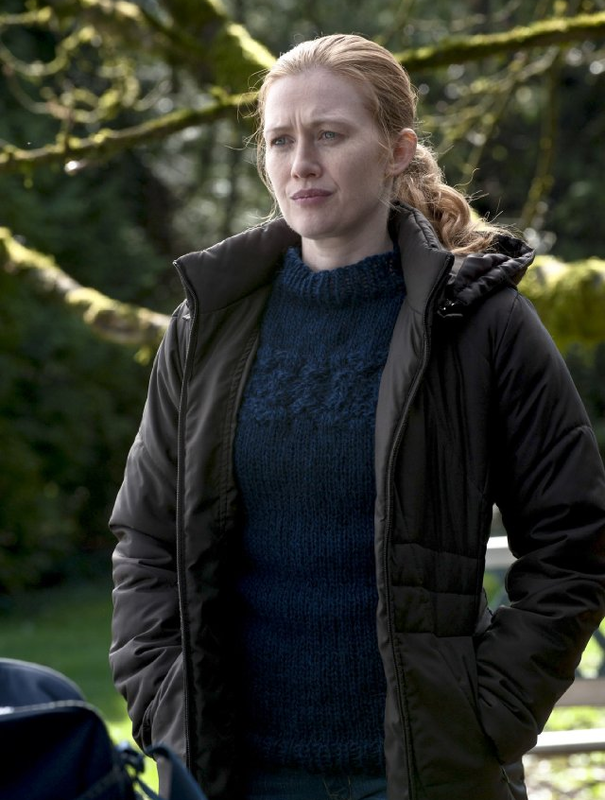 This entry was posted in Inspiration and tagged blazer, cardigan, dana scully, Inspiration, knitting, pullover, queequeg, scully, shoulder pads, shoulders, sweater, sweaters, v neck, x files on December 29, 2014 by onemilljellybeans. I’ve talked about Adventure Time before. It’s one of my favorite shows, and defiantly one of my favorite cartoons. It’s weird, existential, goofy, and fun. And, for a children’s cartoon, it has an inordinate amount of knitting. Last year for Christmas, the characters even had a Christmas Sweater party. 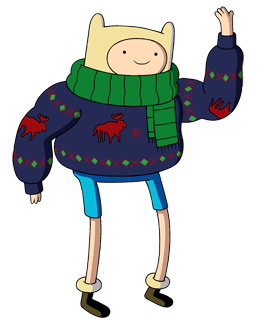 Finn the Human rocked a super-chunky moose sweater. 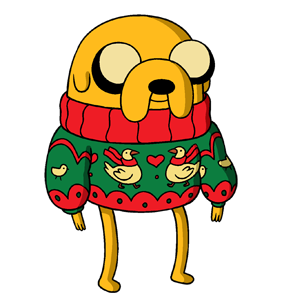 And Jake the Dog wore a goose-themed turtleneck. 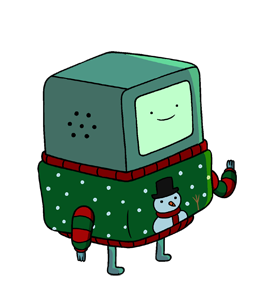 BMO had on an adorable Snowman number. 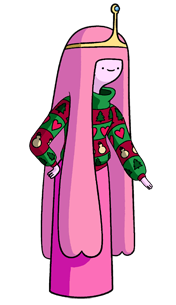 And Princess Bubblegum wore a great all-over color-worked sweater which kind of clashed with her typical bubblegum-pink outfit (and hair), but she didn’t seem to mind. Want to see the rest of the gang in their holiday best? Click here. Which is your favorite sweater? 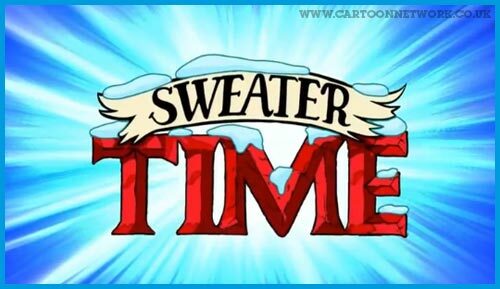 This entry was posted in FYI and tagged adventure time, bmo, cardigan, christmas, christmas sweater, fin, jake, pb, Princess Bubblegum, pullover, sweater, sweaters on December 10, 2014 by onemilljellybeans.